East Long Island in New York is becoming a haven for the region s active adult communities. New York tends to intimidate some prospective homebuyers due to the cost and the sometimes daunting weather. However, active adults in East Long Island appreciate the rugged, picturesque landscape and relatively lower cost of living compared with the rest of the state, making East Long Island a popular option for active adults seeking a New York address without sacrificing the comforts of retirement living. With approximately 125,000 people, East Long Island is comprised of five townships in Suffolk County each providing its own unique experience and providing an array of opportunities to live out the active adult lifestyle. Active adult communities in East Long Island, unlike the western portions of Long Island and New York City, experience a mostly temperate climate compared to the rest of the state. Nassau County, Suffolk s western neighbor, experiences higher than average snowfall and rainfall than the rest of the country. Suffolk County, on the other hand, has slightly more days of sun than the rest of the country and enjoys cooler summers and warmer winters, giving East Long Island the reputation of providing respite for season-dreary city-dwellers. Although only slightly cooler in the summer than Nassau County, the eastern tip of the East Long Island s Atlantic breeze refreshes on the hottest of summer days, especially in the Hamptons and Shelter Island, making it a more comfortable environment than other active adult communities in the region. Age-restricted communities in East Long Island will find themselves bordered by the Atlantic Ocean to the east and south, Long Island Sound to the north, and Nassau County to the west. The eastern end of East Long Island is comprised of two forks known as the North Fork and the South Fork. East Long Island is comprised of low plateaus in the north, glacial moraines that run from the east to the west in the center of the island, and serene, sloping plains in the south. 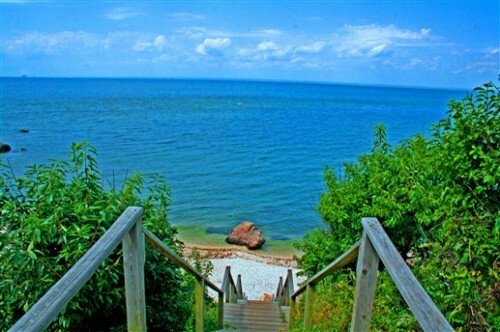 Active adults in East Long Island will have no shortage of natural beauty to explore. Active adult communities in East Long Island enjoy proximity to many cultural offerings that reflect the diversity of its residents, from the bungalow owner in sleepy seaside villages to the mansion dweller in the Hamptons. East Long Island is particularly renowned for its bountiful collection of vineyards in East Long Island s North Fork while the shore allows plentiful opportunities for active adults to kayak, fish, and golf near crashing waves. East Long Island also has several museums like the Oysterponds Historical Society, the Southampton Historical Museum and the Railroad Museum of Long Island to explore. Artistically-inclined active adults in East Long Island also have the Parrish Art Museum and other art galleries to peruse while the area s lighthouses are a favorite sight for tourists and locals alike. There are also thousands of acres to explore in the area's collection of state parks including the Cranberry Bog County Preserve in Riverhead and the Hither Hills State Park in Montauk farther east. East Long Island is also rich in historic homes and sites, a reflection of its role throughout American history. Residents of East Long Island can enjoy the never-ending number of quaint downtown districts that are filled with local restaurants, boutique shops, and gallery spaces set in colonial-era architecture. Active adults living in an East Long Island 55+ community find that one can hike in the morning, play a round of golf in the afternoon, and enjoy world-class shopping before having dinner in an award-winning restaurant. Overall, East Long Island has a higher than average cost-of-living than the rest of the country, especially when it comes to housing where the prices can be double the national average. However, East Long Island is also home to the Hamptons, considered one of the most expensive places to live. Active adult communities in East Long Island, however, do offer affordable, more modest housing options elsewhere in towns like Holtsville and Mount Sinai. East Long Island generally has a much lower cost of living than their western neighbor, Nassau County, given their proximity to New York City. Taxes in East Long Island are generally higher than the rest of the country. Income and sales tax are roughly two percentage points higher than the national average. Those 55+ should benefit from the state of New York s levy on school taxes for some homeowners and they do not tax social security, military pensions, and government pensions. Although the tax burden in East Long Island can be hefty, the state and local governments do provide some relief. Age-restricted communities in East Long Island have plenty of world-class hospitals nearby. North Fork s Eastern Long Island Hospital is consistently ranked in the top 15% for patient experience throughout the United States. East Long Island 55+ communities are also close to Southampton Hospital in the South Fork, Brookhaven Memorial Hospital in Patchogue, and nationally ranked John T. Mather Memorial Hospital in Port Jefferson. Active adults in East Long Island will never have to travel far for a quality local hospital.